I have over 20yrs. 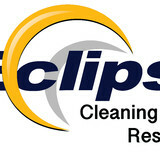 experience in the cleaning industry. Customer satisfaction is my first priority after all a satisfied customer is my best form of advertising. If you like my service tell someone else, if not, tell me so I can fix it. Quality doesn't cost...it pays! HEALTHY INDOORS Cleaning is a locally owned and operated, certified and insured business. 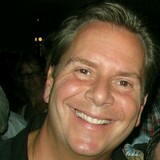 Founded by Michael Workman in 2004. Michael has spent over 15 years working in and handling the administration of cleaning large commercial and residential facilities. He has been used as a consultant at several large facilities such as BMCC (Borough of Manhattan Community College), the Danbury Connecticut School District and other local facilities. This has allowed an opportunity to gain a a tremendous wealth of understanding of the indoor environment and the best way to keep it clean and healthy for your precious family in your residential home or your valuable employees in your commercial property. We would like to use this unique experience to provide you with a low cost but high quality service to your family or business. Precious persian, oriental rugs, and other woven tapestries needs expertise when stained or damaged. 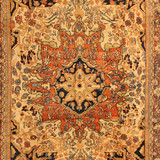 We are the master of the royal antique rugs and carpets. Indzhigulan & Isbirian Rug Cleaners provides superior rug repair and cleaning in New York. We repair your carpet without loss of value, and restore it to its original splendor. In fact, the restoration of your oriental rugs will increase their long-term value. We know the greatest care and patience should be taken in the treatment of hand-knotted carpets. Our rug repair restoration technology reweaves tears and holes, and restores water, rot and moth damage. Fringes, selvages, and bindings are also restored. Matching the antique rugs and yarn dyeing process is a kind of science. We have the ability to recreate all hues of dyed wool. I am a professional carpet, Upholdstery, tile/grout and office cleaning service. I have over 20 years of experience and I have an excellent track record. Proper rug maintenance requires the skills of an expert. 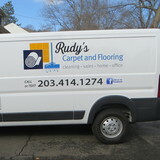 This is where Hudson Valley Rug Cleaners, LLC comes in. We value the quality and beauty of your rugs, so our cleaners do their best to remove stains and dirt. Elite Rug Cleaning is NY based carpet cleaning company offers professional services and affordable prices. We have extensive industry experience and state-of-the-art equipment and machines. Whether you require stain removal, deep cleaning, or cleaning of modern or oriental carpets, your carpets, upholstery, and your home are in safe hands.Synthetic Rug Experts Will Care For Your Precious Rug. Varying both in design and size, today synthetic area rugs are a cost-efficient way of owning a great-looking rug. You have many options to choose from, deciding what will look best in your living room or hallway. You can the look and the vie you want for your home.Synthetic yarns are soft, durable and easy to clean. Nylon rugs are extremely resilient; because they withstand heavy use and come in a wide variety of colors.Our cleaners offer exceptional services and use superior equipment and cleaning products using eco-friendly products only they will clean all stains, oils, spots, and dirt that have been sitting on your carpets for months and they will pre-spray heavy traffic and stained areas to make it easier to remove grime and dirt. These cleaning solutions are very effective and don’t require large amounts of water. Thus, your carpet will dry quickly. What should I look for in a local Gaylordsville carpet cleaner? Not all Gaylordsville carpet cleaning companies use the same methods, but there are a few common things that they should do to for a quality job. Make sure they do an analysis on the area you need cleaned and recommend the best course of action — are there large stains or high-traffic areas that need extra treatment or attention? Also, make sure they provide quick drying times so that you can be back in your home faster; that means hours, not days! A good carpet cleaning service in Gaylordsville, CT should move furniture (within reason) and put it back in place when they are all done; don't let them charge extra to do this. Another important factor to look out for is whether or not the carpet cleaners use chemicals, and if so, they should be asthma- and allergy-friendly. This is especially important for households that have children or pets. Lots of Gaylordsville carpet cleaning services also clean rugs. Rug cleaning can involve anything from a simple wash to complete re-weaving or foundation work. Make sure the local rug cleaner you choose has experience with the types of rugs you need serviced, especially if they are hand-woven or Oriental rugs. What should I look for in a local Gaylordsville upholstery cleaner? Upholstery comes in many more varieties than carpet and rugs, thus needs cleaning tailored to each specific blend. Even if you don’t know what material your sofa or chair is made with, a good upholstery cleaning service in Gaylordsville, CT will be able to identify it and treat it appropriately. Some textiles require dry cleaning and that can’t be done in home, so if that’s the case, check with the upholstery cleaner and see if they offer pickup and drop off services. Leather cleaning is a bit different and often involves more restoration and conditioning than actual cleaning. Make sure the Gaylordsville furniture cleaning service specializes in leather if you are considering them for the job. Find Gaylordsville upholstery and carpet cleaning services on Houzz. Narrow your search in the Professionals section of the website to local carpet cleaners in Gaylordsville, CT and read reviews and ratings to find one that fits your needs.